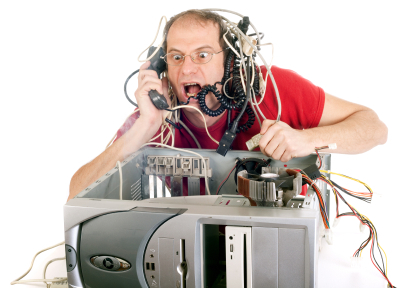 AAA PC Parts – The Specialists in Computer Repairs Cairns. AAA PC Parts has been providing expert advice and support to businesses and clients in Cairns since 1999. Our staff have a wealth of knowledge and are ready to help solve any problem. PC & Laptop Hardware Repairs. Over time, your computer can start running slow. This can be a caused by Viruses, Malware, Faulty components or simply just needs to be upgraded. Dont spend money on another PC or Laptop. AAA PC Parts can perform a health check to identify the cause of the issue and provide a solution that will save you money. Why buy a new laptop when you can get it fixed? We replace all kinds of Laptop screens inlcuding Apple Macbooks. We use quality parts and gurantee our repairs! We can replace laptop batteries on all makes and models. Contact us now for a quote! Spilt Liquid on Your Keyboard? We can replace keyboards on all Laptop brands. Dont spend extra money on a new one, come and see us today! Scammers pretend to be calling from Microsoft, your ISP or other Service Provider alerting you that your computer has a virus. They will try to gain access to your PC by directing you to download software. If you’ve fallen victim to this type of scam, come and see us today. We can run a security check on your PC and make sure that no back doors are left open. Need Your Repair Back Sooner? Skip The Queue With A Priority Service! *Conditions apply, subject to parts availability.